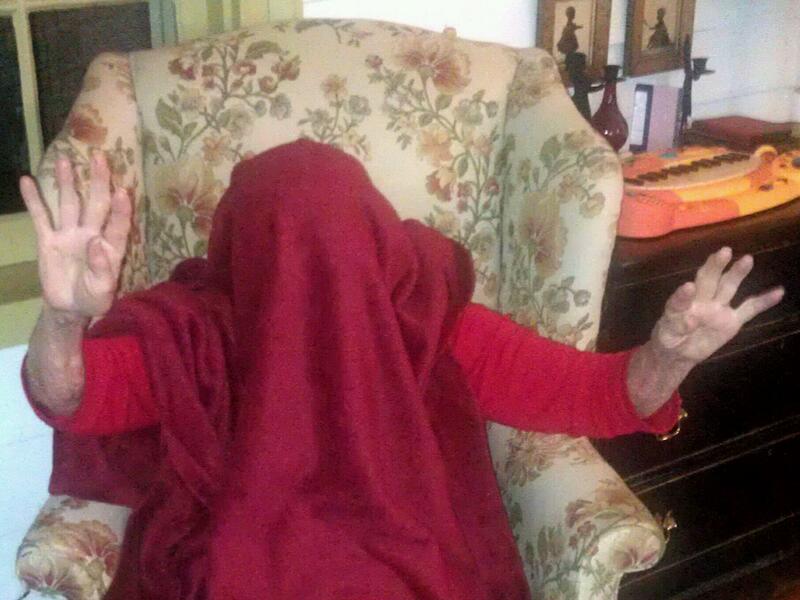 Great granddaughter, Livi, has issued her great grandmother, Helen, The Great Challenge. 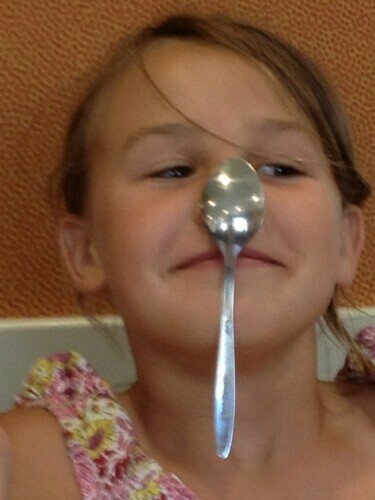 Livi lives in Wilmington, North Carolina, and has challenged mom, who lives in Richmond, Virginia, to balance a spoon on her nose, no super glue or other adhesives allowed. The challenge was issued with the following image attached. Well, maybe it was just the picture that was sent, but I am making it into a challenge. There is no question that Livi looks like and has the confidence of a champion. What Livi doesn’t know is that mom has been practicing balancing a spoon on her nose for some time now and though her practice sessions are always done undercover, I have never underestimated her winning ways. From the looks of things, mom seems mighty happy with what just happened. In fact, judging from the two pictures, it is just too close for me to call! So, I am calling on you to comment and tell me your choice of who should Win by a Nose. Votes will be closed at midnight on June 25th and the winner will be announced the next morning. So shoot your comments my way. Posted in aging parent, dementia, family, humor, life, love and tagged aging parent, caregiver, caregiving, elderly parent, great granddaughter, great grandmother, My 91 Year Old Mom. Bookmark the permalink. Tom Laughon (Pronounced Lawn) is President of Catch Your Limit, an organization whose sole purpose is to guide and grow leaders. His journey from lead singer in a rock-n-roll band, to a successful career in marketing & advertising to consultant, strategist, keynote speaker, facilitator, professor and writer is a fascinating one. Headquartered in Richmond, Virginia, Tom and his team guide organizations, from start-ups to Fortune 500 companies to national associations, to "catch their limit" in areas such as leadership development, creativity, innovation, teaming and transformational change. His commitment to "practice what he preaches" has made Catch Your Limit a petri dish for round-the-clock discovery and learning. The firm's brand reflects Tom's personal brand: Fun, Inspirational, Strategic & Hot! Helen is the winner,for ive heard it said ,she was born with a silver spoon on her nose.GO GIRL!! !